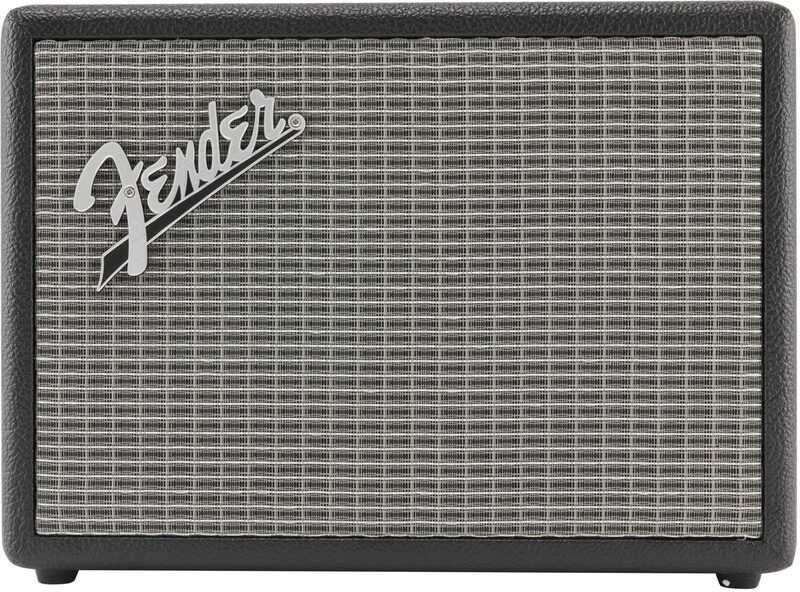 Powerful and packed with music-friendly features, the Monterey Bluetooth Speaker makes it easy to bring Fender's classic stage-ready style, performance and sound to your home, office or dorm room. Designed in Southern California, with a look inspired by our classic amplifiers, the Monterey brings Fender's famously clear sound to streaming music and phone calls. The Monterey channels 120W of power into a pristine quad-driver system; two woofers and two tweeters are precisely matched to reproduce your music with pure, clear sound. We included a 3.5mm auxiliary input jack and a pair of RCA jacks to connect a RIAA preamp so you can listen to music from almost any source--wired or wireless. The 33-foot+ Bluetooth range, aptX and AAC wireless audio codec support and onboard mic with echo cancellation ensure your calls sound as pristine as your tunes. 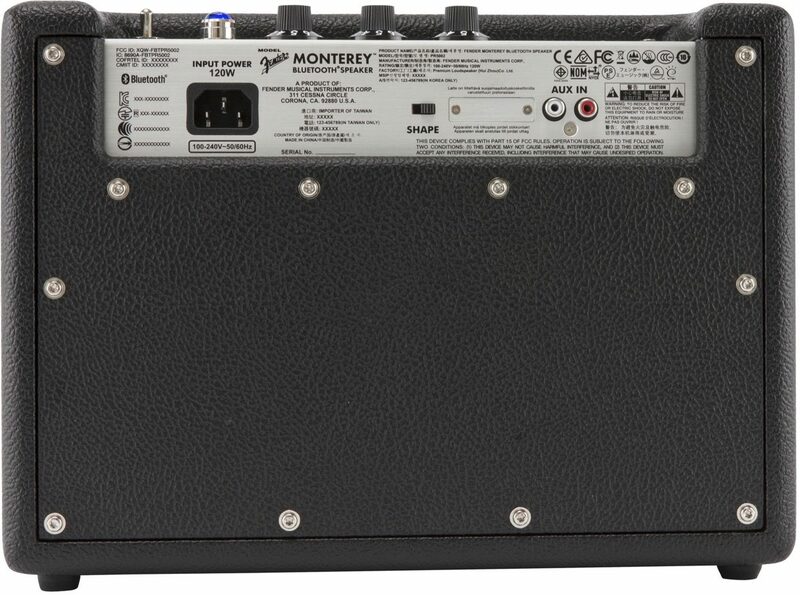 The Monterey's designed to fit into any decor, so we gave it a look inspired by our classic '68 Custom amplifiers. Every detail, from the protective speaker grille to the witch-hat knobs, amp jewel and control labels came from these classic designs. 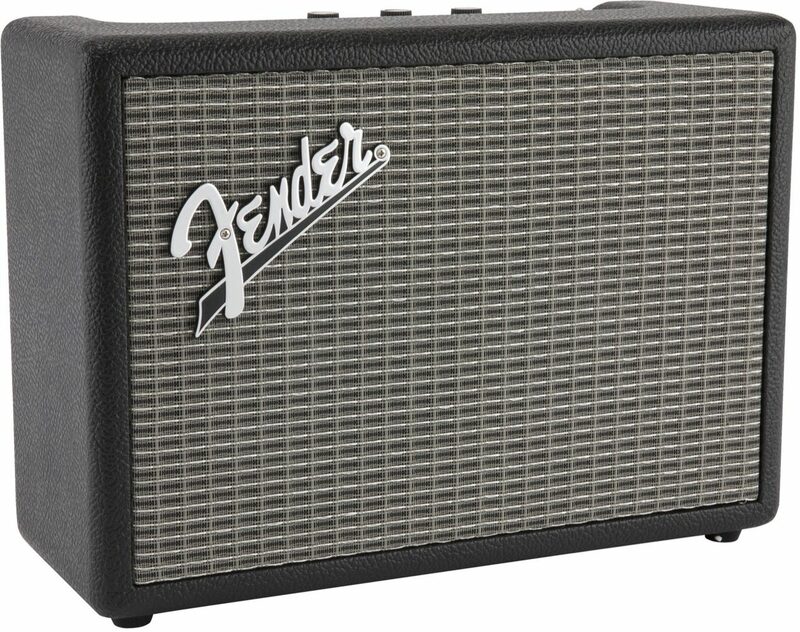 Of course, it wouldn't be Fender without music--one-of-a-kind audio cues indicate successful power-on and Bluetooth pairing, giving a hint of the enjoyment to follow. - In additional to Bluetooth wireless audio, Monterey has built-in 3.5mm and RCA auxiliary inputs. You can even connect multiple sources to the Monterey and using the press Source Select button, select the preferred device. - Design inspiration comes from the Vintage Modified '68 Custom series - complete with Fender "Silver Face" graphics, blue jewel pilot light and numbered, black skirted control knobs. 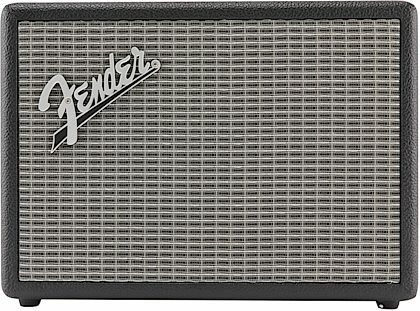 - Monterey features a Fender Logo borrowed from the '63 Reverb amplifier, as well as the iconic silver thread grille cloth (The '68 Custom features silver and blue thread). Overall: This bluetooth speaker is off the charts. Blew me away. Overall 10+ Features 10+ Quality 10+ Sound like you won't believe 10+ Value worth 549. 10+ wow factor I'm speechless 10+. I'm buying another. You will thank yourself for buying it.